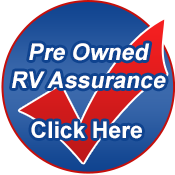 Our financing department makes it easy to get you on the road in your new or pre-owned R.V. We provide great interest rates and custom terms. Whether you've been buying R.V's for years or you are about to buy your first one, we can help you through the process with one of our many lenders. Fill in the Finance Feedback form and our finance department will contact you by phone or email. You can secure R.V. loans before you even come to the dealership!